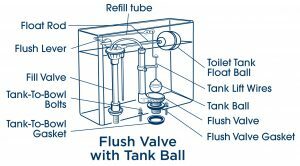 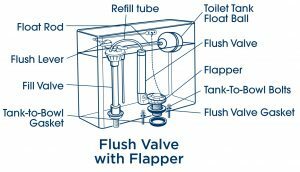 Pictured below is a typical toilet tank that operates with a flapper. 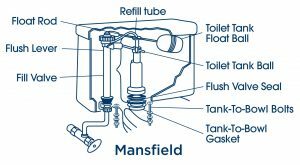 This is the most common type of toilet flush mechanism. 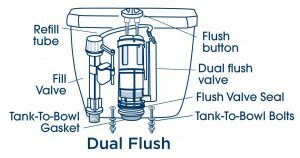 It is identified by a plastic, rubber or vinyl flapper, which pivots on arms attached to the flush valve.